The South Jersey Regional Animal Shelter actually has quite a long history. Originally founded in 1891 by a group of concerned citizens, our journey began as an organized chapter of the Society for the Prevention of Cruelty to Children and Animals (SPCCA). The turn of the century brought sweeping changes to child protection as the government stepped up to create public agencies for the task, and by 1915 our society was out of child protection business. 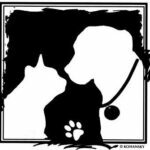 At that point, we became formally organized and received our charter from the state of New Jersey to become the humane law enforcement entity in Cumberland County for the prevention of cruelty to animals. In 1947 a rudimentary facility was established in a residence that was donated by a former member of the organization. Over the years, the house was renovated to become the offices and cat holding areas, and several additions were built on to provide more kennels and a clinic space. As many as 8,000 animals a year were cared for in that ramshackle building. It had been a constant struggle to maintain the crumbling walls of the old kennels, the drainage pipes were deteriorating from all the cleaning chemicals, the roof needing replacing and a surgical clinic would have had to be added in order to meet the needs of the organization in the 21st century. Things were looking rather dismal until our local hospital system decided to build a regional facility right across the street from our little shelter. Sitting on 32 acres, the old shelter was now prime real estate, and the funds from its sale would provide a wonderful opportunity to build a new facility for our homeless animals. It was sold and torn down in 2004. The CCSPCA was the only law enforcement agency in the county authorized solely for the protection of animals. Each year our cruelty agents investigated nearly 1,000 reports of animal abuse and neglect. Many times we were able stop abuse through education, however, other cases require prosecuting the guilty parties. As of 2018, new legislation has been enacted that dissolved the NJSPCA and its' chapters, and put the enforcement of NJ Anti-Animal Cruelty statues completely in the hands of the County Prosecutors' Office. Now, in our function as a South Jersey Regional Animal Shelter, we serve as a refuge for thousands of stray, unwanted, abused, abandoned and sick animals. Each year our humane education programs. offered free to schools and community groups, reach thousands, teaching basic pet care, safety and the understanding that all living creatures deserve our respect. Each year our clinic provides the general public and thousands of animals access to our low-cost spay and neuter services. In addition to sheltering an protecting animals, the shelter also acts as a clearinghouse for the thousands of phone calls requesting information on animal related issues and problems.